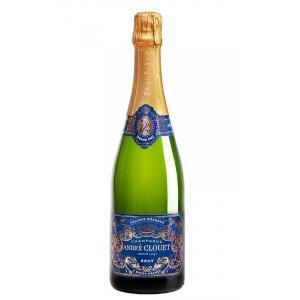 André Clouet produces this André Clouet Grande Réserve ($39.29), a sparkling wine from the region of Champagne from the pinot noir grapes and has an alcoholic content of 12%. 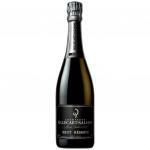 The André Clouet Grande Réserve is the ideal sparkling to combine with salads and fish. 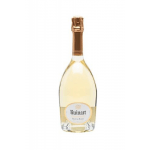 At Uvinum, this sparkling wine scores an average rate of 4,1 of 5 points and with the following scores: robert parker: 90. 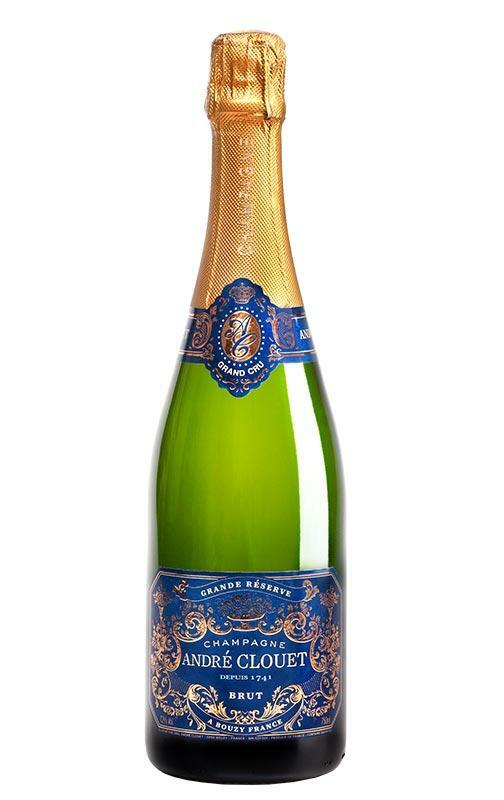 - View: André Clouet Champagne Grande Réserve is a golden yellow with copper flashing. Fine bubbles. - Nose: It has an intense aroma and expressive, ripe, pastries highlighting notes, ripe red fruit, red flowers, mineral, nuts and toasted. 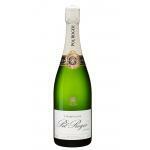 Aging: Aged in rhyme for a minimum of 36 months in cellars at 10 m. deep, with removed and manual disgorging. 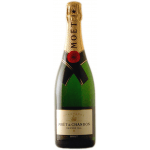 PREPARATION: alcoholic and malolactic fermentation in small vats. PAIRING: carpaccio, cheeses, smoked seafood and all kinds of meat. - TASTING NOTES: Golden yellow with copper flashing. Very thin continuous bubble. 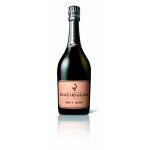 Intense and expressive aroma, highlighting notes of pastries, ripe red fruit, red flowers, mineral, nuts and toasted. Good acidity and integration with carbon. Long and persistent. At the sight it has a light golden yellow color. 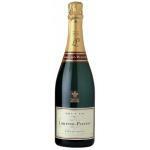 The nose is open and clean, releases fruity, floral and citrus notes. Champagne yellow gold with copper, the pinot noir own flashes. Fine bubble. 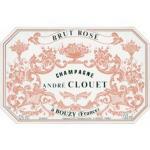 - View: Andre Clouet Brut Grande Reserva has an own golden yellow with copper flashing, the pinot noir. Fine bubble. 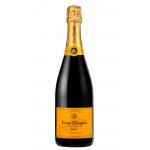 - View: Golden yellow, coppery reflections and fine bubbles. 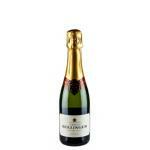 - Nose: intense, expressive, ripe, ripe red fruit, pastries and mineral notes. I took it with an octopus and liked it. I drank with work colleagues. Has a strong colour. The final reminded me of bakery flavours. 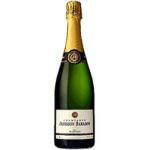 I would say it was a Champagne with good body. The ideal wine to finish a meal. I drank it with a business client. A beautiful vivid colour. Smells of yeast and bakery. Sweetish memories in mouth. 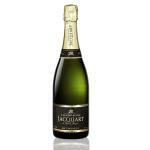 The Andre Clouet Brut Grande Reserva NV - Sparkling Wine, with 0. 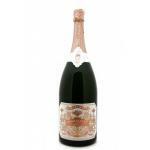 75 Lt / 25 4 Fl oz bottle is a Sparkling Wine made in France Champagne. 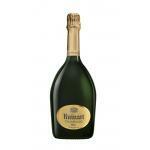 If you want to buy André Clouet Grande Réserve, at Uvinum you will find the best prices for Champagne. Get it now at Uvinum, in a 100% secure and easy process. We offer over 59.000 products on sale which makes us leaders in the sector of selling wine, beer, and spirits in Europe with more than 38.000 customers who trust us.